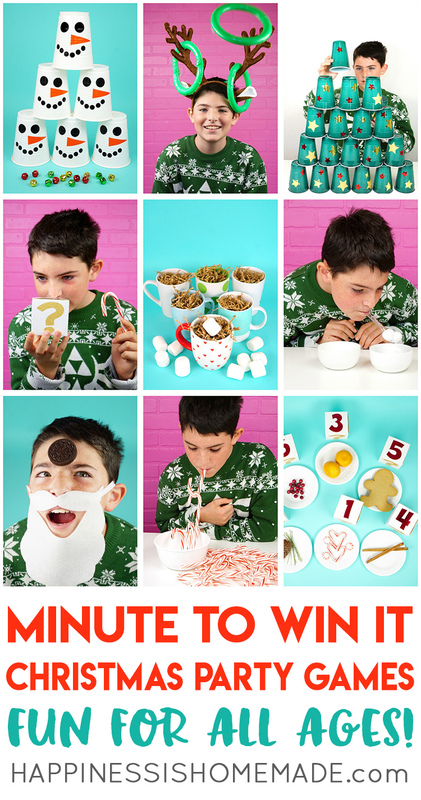 These Minute to Win It Christmas Games are perfect for all ages – challenging enough for older kids and adults, but still simple enough that younger children can join in the fun! 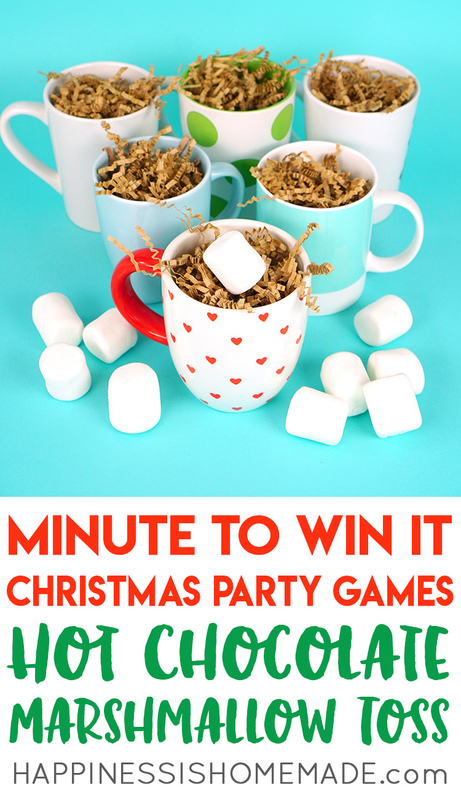 Host the best Christmas party ever with these fun Christmas Minute to Win It games for kids and adults – everyone from toddlers to grandmas will want to play! We love Minute to Win It Games around here, and it sure seems like y’all love them, too! We previously shared 10 All-Occasion Minute to Win It Games, Summer Minute to Win It Games, Halloween Minute to Win It Games, and Thanksgiving Minute to Win It Games, and today we’re bringing you 11 SUPER awesome Minute to Win It Christmas Games! 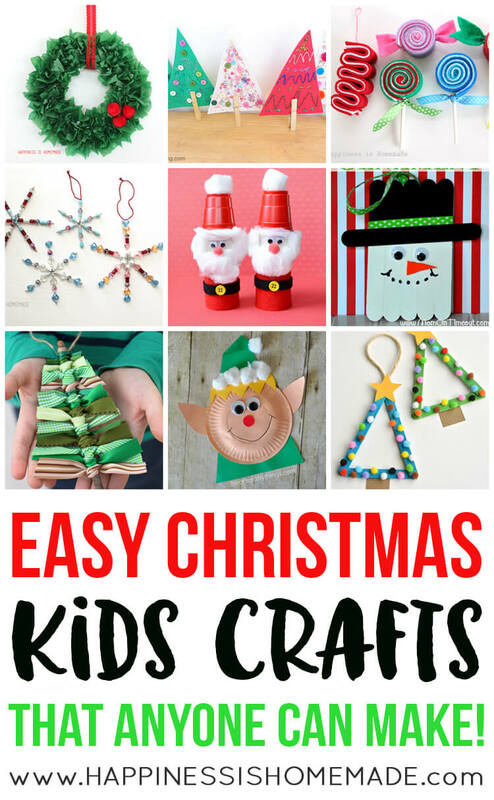 These fun Christmas party games are tons of fun for all of your holiday parties and gatherings, and they would also be great for the classroom. These Christmas Minute to Win It games are perfect for all ages from toddlers to grandparents, so everyone can join in on the fun! These games can be scored in several different ways which can be adjusted depending on the size of your party group. Typically, games are played individually at small parties (under 6-8 guests) and in groups at larger parties. In individual games, the player will try to race the clock (usually set at one or two minutes depending on the age group of the party and the difficulty level of the challenge), and points will be awarded based upon whether or not the challenge is completed before time runs out. For these individual games, we usually opt to have players score 3 points if they complete the task, 0 if they do not. For larger parties, challenges are completed in smaller groups of 3-5 players at a time competing to beat the clock. The timer is set, and points are awarded based upon whether or not the player is able to complete the task before the time runs out. 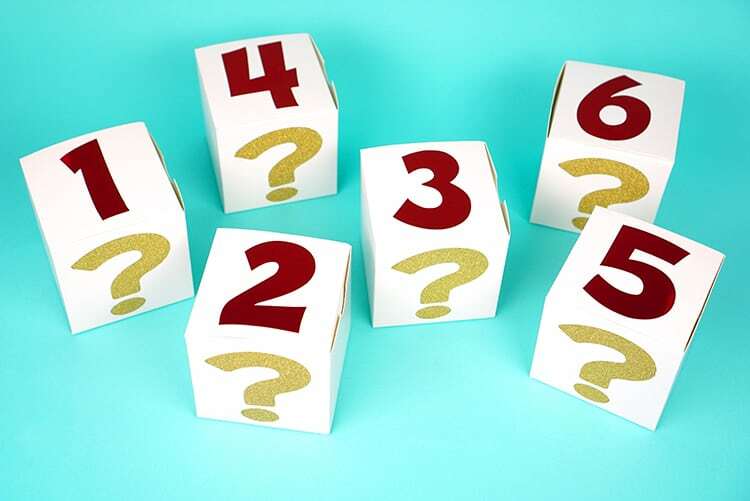 We like to add extra bonus points for the player who finishes first, so we typically score as follows: 5 points if you finish first (or collect the most, etc. ), 3 points if you complete the challenge and 0 if you do not. At the end, the points are tallied, and prizes are awarded to the 1st, 2nd, and 3rd place finishers. Now that you’ve got your scorecards printed and ready, let’s get playing! How to Play: Choose one player to be the “reindeer” and wear the antler headband (or inflatable antlers). Other players take turns trying to toss rings around the antlers in under one minute. Score 5 points for landing five rings in under a minute or award one point per successfully landed ring. Notes: We found the inflatable antlers to be a bit TOO easy to ring, so we opted to use the antler headband for more of a challenge, but the inflatable antler/ring set is perfect for younger children or elderly folks! Download our free SVG cut file or paper printable and cut your own Santa beards from felt or cardstock! How to Play: Place a cookie on your forehead and try to get it into your mouth using only your facial muscles – no hands allowed! Award points to the players who can successfully complete the challenge in under a minute. How to Play: Fill one bowl with fifteen white pom poms. Players must transfer all of the pom poms from one bowl to the other using only a plastic spoon in their mouth. Points go to all players who successfully complete the challenge in under one minute – ready, set, GO! Supplies Needed: Small Boxes, Number Stickers, Small Plates, Scented Holiday Objects (we used cranberries, oranges, gingerbread, pine needles, cinnamon sticks, peppermint candies and candy canes). How to Play: Fill each box as desired (see notes below) and assign a number to each box (party hostess will need to keep a cheat sheet handy). Players have one minute to smell each box and match them with the plated object. Notes: I prefer to fill the boxes with cotton balls that have been scented with fragrance and essential oils rather than the actual food item because it’s cleaner and allows all of the boxes to have equal weight. The fragrances that I used were Orange, Cranberry, Gingerbread, Pine, Peppermint, and Cinnamon. How to Play: Place the mugs in a triangular formation at the end of a table. Players stand at the opposite end of the table and attempt to toss a marshmallow into each mug in under a minute. Award points to players who successfully complete the task. 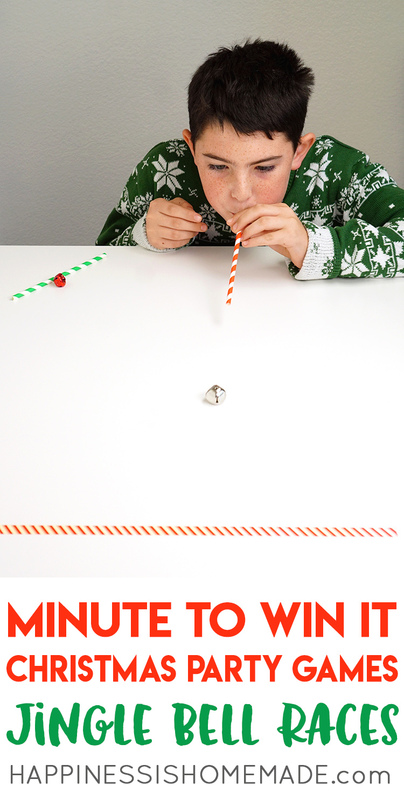 How to Play: Players place a candy cane into their mouth, curved side out, and use the candy cane to hook another candy cane from the pile and transfer it to a bowl – no hands allowed! Points are awarded to players who transfer five candy canes in under one minute. How to Play: Players must stack up a pile of cups and then place them back into a single stack in under a minute. Notes: The original Minute to Win It version of this game calls for 36 cups to be stacked, but we reduced the number of cups to make this game work better for all age groups. Feel free to use all 36 cups if you think your group can handle the challenge! How to Play: Fill each box with a different number of jingle bells (see note below) and assign a number to each box (again, the party host/hostess will need to keep a cheat sheet handy). 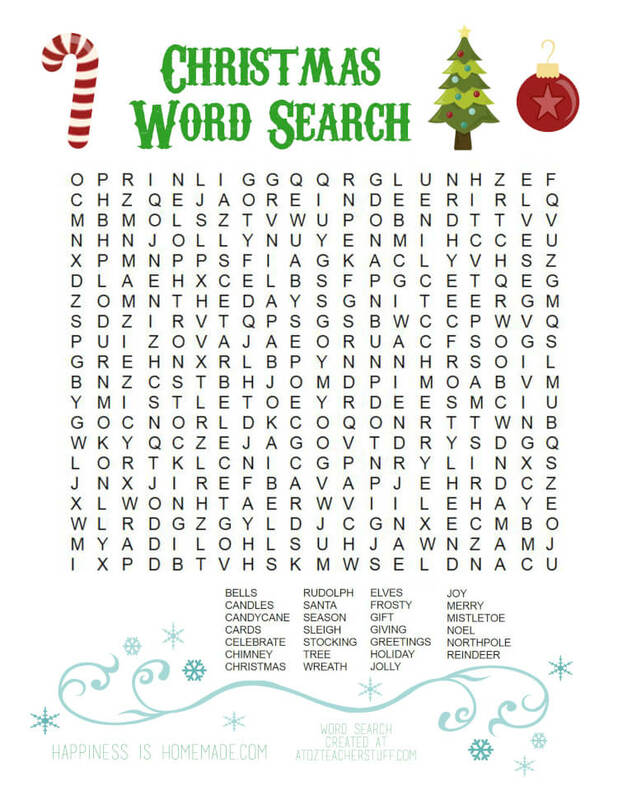 Players have one minute to shake each box, listen closely to the bells, and arrange the boxes in order of least jingle bells to most jingle bells. Notes: Using a variety of jingle bell sizes makes this game more challenging because the weight won’t necessarily correlate with the number of bells in the box! How to Play: Arrange the snowman cups into a tower at the very end of a table. Players stand at the opposite end of the table and slide jingle bells across the table to knock down the snowmen in under one minute. Points are only awarded to players who successfully knock all of the snowmen completely off the edge of the table! How to Play: This is one Minute to Win It Christmas game that is WAY more fun when you play it player vs. player! Players start at one end of the table and must use a straw to blow a large jingle bell across the table and across the finish line. Points can be awarded to the winner of each round or to every player who successfully completes the race in under a minute. How to Play: Start with all of the reindeer cards in a single pile. Using only the candy canes to touch the cards, shift and arrange the cards into “Santa’s Reindeer Order” (Dasher, Dancer, Prancer, Vixen, Comet, Cupid, Donder, Blitzen, and Rudolph) within one minute. Younger children can optionally arrange the cards alphabetically. Notes: I highly recommend laminating the cards if possible! This is my favorite laminator that I use ALL the time! 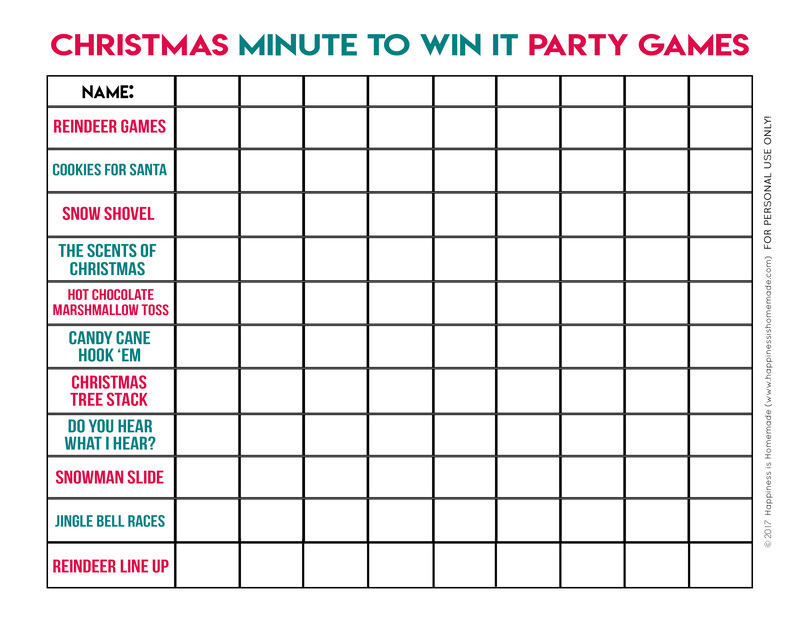 Don’t forget to pin these Christmas Minute to Win It Games for later! 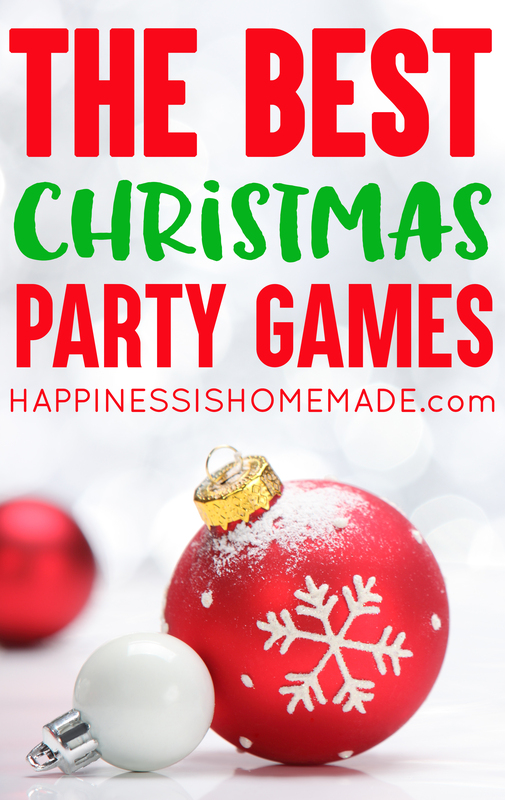 The Best Christmas Party Games for All Ages! Thank you so much! Great ideas- and I have almost everything I need to do them without going to the store!! !